Become a Leader for Startups. There’s no shortcut for innovation. The work we do with StartupYard startups reminds us of that, and keeps us focused on what’s possible, and what we have to be ready for. Invest alongside experienced early-stage investors to get deep insights on new technologies and markets. Grow your brand as an innovation leader among startups. Get exclusive access to StartupYard’s applicants, and see firsthand what hundreds of startups are doing right now. Work with some of the most talented engineers and creative minds in business and technology. Put yourself into the conversation among innovators, and bring them together and make connections with your own startup focused events. Innovation can’t be adopted. It happens in the wild. Set a team from your company free in the accelerator, and see what new tech and business ideas they come up with. Get exclusive access to startups before the DemoDay, and be ahead of the curve in partnering with hot new startups no one else knows about yet. Become fully engaged with the StartupYard community. Stir innovation inside your company with and from our startups. Discover internal needs, and new market needs well ahead of your competitors. We’re here to help large corporations engage and discover new startups and emerging technologies. Ask us for anything. 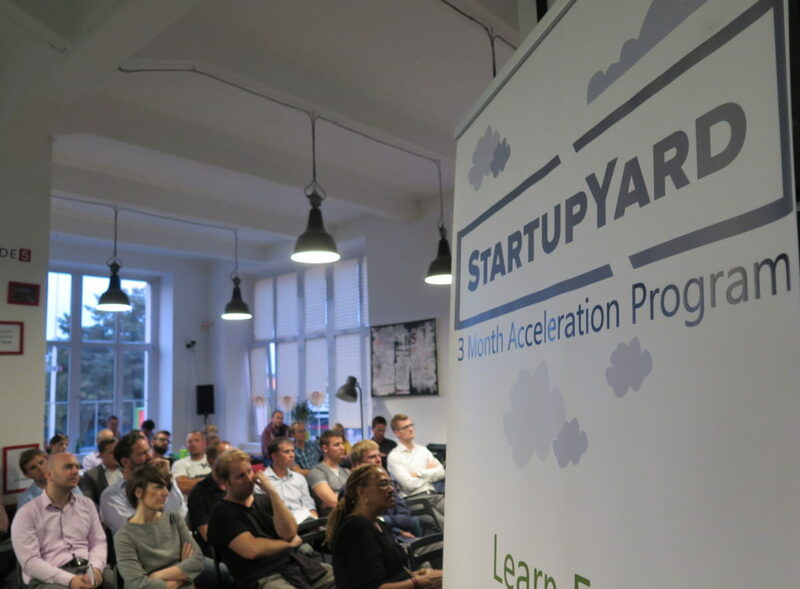 Applications Now Open for StartupYard Batch 8! Pitch StartupYard in Bratislava, Sept 6th!